When I graduated from the School of Photographic Arts: Ottawa things went from an insane clusterf--- of things to do, to a dull hum of my mind recovering/not knowing what to do next. Luckily, I was approached by Ottawa photographer/mentor Tony Fouhse who had just launched his brainchild - Straylight Press. The independent publishing company outsources its printing, which is usually quite a limited amount. Once the copies are all bought up that's it that's, you become a (hopefully) proud owner of some excellent limited edition photography in beautiful, tangible print form. Straylight gives photographers and their projects, curated by Mr. Fouhse himself, an avenue to be recognized around the world. The public just needs to land on the page so if you like the idea of Straylight Press don't hesitate to spread the word and buy a zine or book if you become inclined. The zines typically come in two versions, zine only, or the zine accompanied by a 6-10in signed, limited edition print by the photographer. 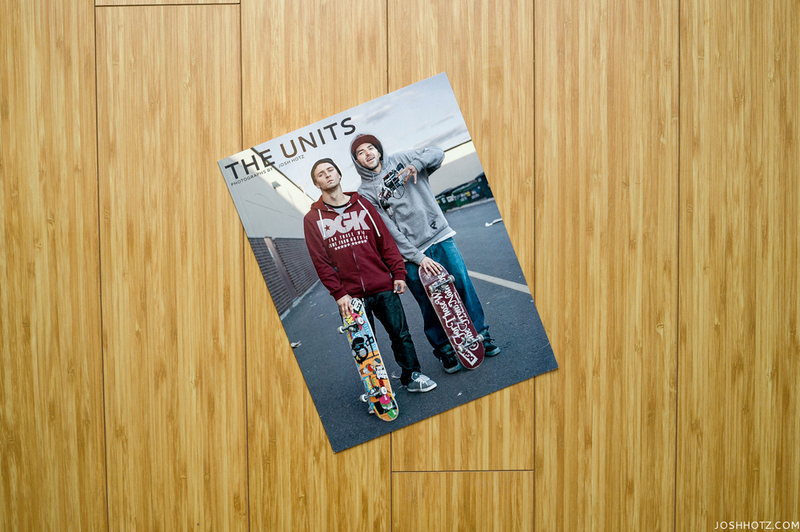 The Units: Photographs by Josh Hotz. Published by Straylight Press. Back in 2012, I embarked on yet another one of Antique Skateshops infamous Trip To Hell road trips. Shady directions, random skateparks found by touring around some small random town in upper New York State and Connecticut yielded some spontaneous and unique experiences. The only amenities we had available were the ones we brought with us. Tents, sleeping bags, portable gas stoves.. you know the drill. Playing everything by ear, running into crazy locals with their I used to skate with this Pro back in the day.. before I went crazy stories, befriending local park shredders, drinking beers, and chugging American Luxury 4LOKO's... Carnage definitely ensued for most of the trip, and Charlie even broke his leg (you'll see him favouring a leg in the group shot, before he knew his fate). Pick up the 52-page Zine from myself while copies last (two @ $15), or order from the comfort of your smart-device from MagCloud here. Photographs from yours truly and Jordan Wiens. Big shout out to Antique Skateshop for throwing the trip together and helping put the zine together, as well as Maru the Circle Brand for funding the printing process. Much love. You can also click the image below for more info on the zine. Trip to Hell, 2012. Photographs by Josh Hotz & Jordan Wiens. Sponsored by Antique Skateshop and Maru the Circle Brand. 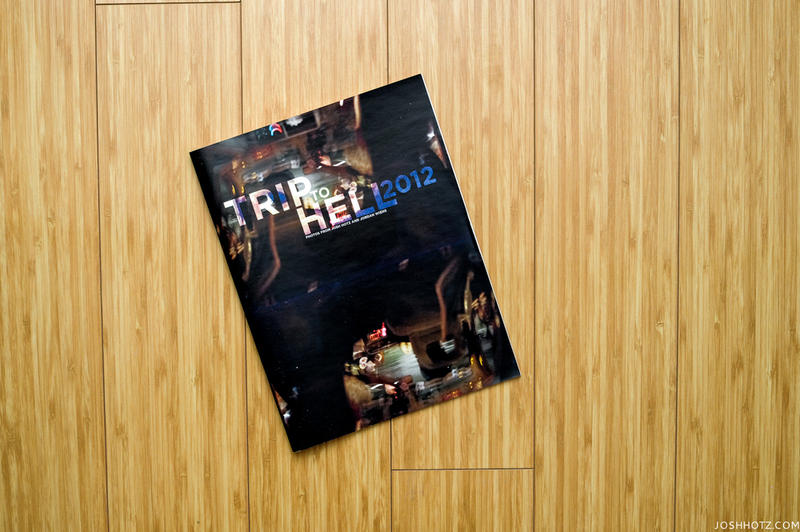 Excerpt from Trip to Hell 2012. Photos by Josh Hotz. 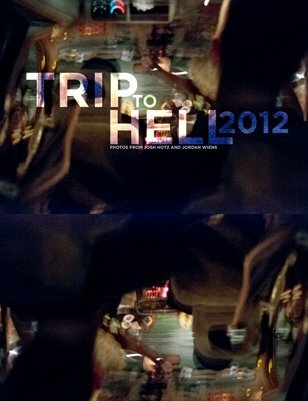 Trip to Hell, 2012. Back Cover. Photo by Josh Hotz.